Triton® Coastal and Waterway systems are a durable, non-corrosive solution for many coastal and inland waterway erosion issues such as bridge and shoreline scour protection. The advanced geogrids are manufactured at a state of the art factory in Blackburn and then fabricated at Salix’s warehouse in Norfolk. Comprised of Uniaxial (UX) or Biaxial (SS) geogrids the mattresses can be pre-filled off site or filled in-situ depending on the application. Triton conforms to land contours and site configurations while resisting scour far better than rigid systems. 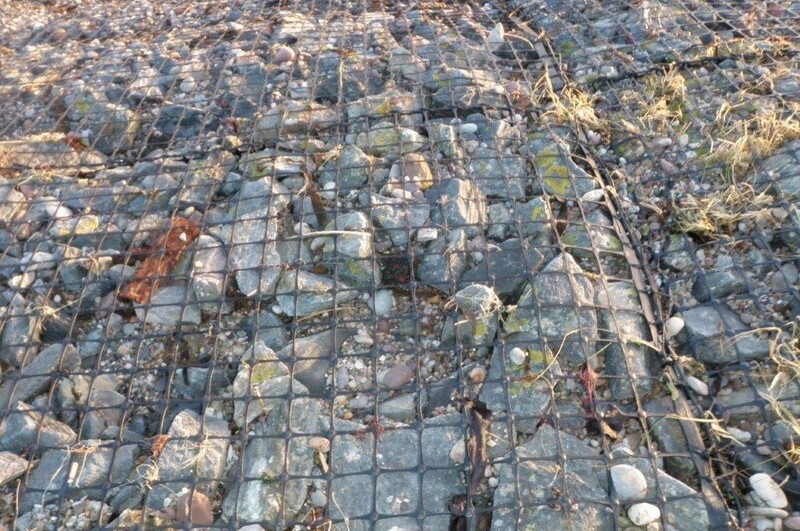 The geogrids resist all naturally occurring forms of chemical, biological and environmental degradation and so can be used in salt water, industrial runoff conditions and contaminated sediment capping where other types of materials would deteriorate rapidly.